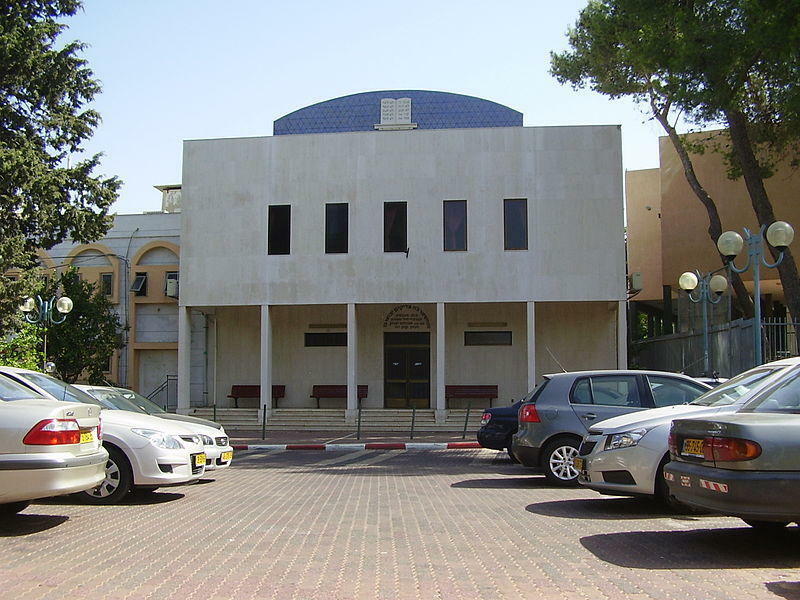 Israeli politicians strongly condemned a hate crime in Ramat HaSharon, where a pig's head was discovered at the gate of a local synagogue on Friday, the Jerusalem Post reports. Interior Minister Aryeh Deri said he was "shocked to the bottom of [his] soul" from what he called a "despicable and reprehensible hate crime." He continued to explain that if such a thing had happened in any other country in the world, "we would all shout and lament." He called on the police to arrest those responsible. Beit Yehudi MK Moti Yogev said that concerns in the secular community about promoting religious content in the educational system [Hadata] "turned into an incitement campaign." Yogev said that his father, who came to Israel before the Holocaust, "would not have believed he would see such an antisemitic sight in the state of Israel." Yogev warned that leaders in the secular Zionist camp must "examine themselves to see if they did not go too far in their efforts to uproot the Torah of Israel from the hearts of their children." Conservative Movement leader Dr. Yizahar Hass called whoever placed the pig's head on the gate of the synagogue "a villain." He stated that in Jewish history, Jews were often humiliated by being forced to touch pigs or eat them, Hass said that "this morning a red line was crossed" and expressed disbelief that "Jews are doing such a thing to their own brothers." He also said that while there is a legitimate struggle on matters concerning religion and state, "such as the fight against Hadata," "such a villainous act has no connection to such a fight," he said. Beit Yehudi MK and vice-Minister of Defense Eli Ben Dahan said that "80 years after Kristallnacht, antisemitism is making a mark in Israel too" on Twitter . "The ongoing incitement against Orthodox Jews in Ramat HaSharon escalated today," he said, "in the shape of a pig's head placed in front of a synagogue. It must be stopped now."